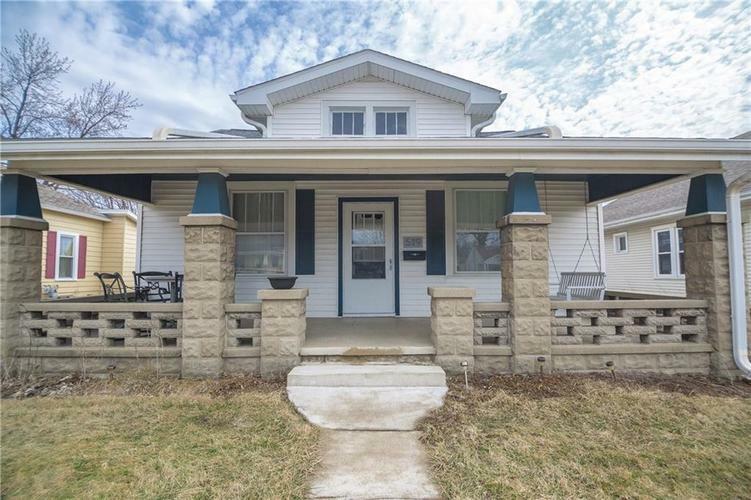 An inviting covered front porch welcomes you to this charming updated 3 BR home with a partial basement! Light and bright white kitchen with subway tile back splash, butcher block counters, a stainless steel farmhouse sink, and a built-in breakfast nook with custom-built storage. This immaculate house boasts tall ceilings and plenty of windows that let in natural light. Bedrooms have spacious closets and custom-built storage. Laundry is conveniently located on the main floor. Fenced backyard with a garden area, storage shed and just a couple blocks from Columbian Park, Tropicanoe Cove Water Park, community basketball courts, and playgrounds. Centrally located within minutes of downtown, Purdue University, and Tippecanoe Mall.